Catherine is a Chartered Psychologist specialising in neurological illness who joined City, University of London in 2012. 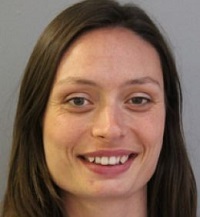 She previously worked at King's College London and the University of Manchester. Catherine obtained her BSc (Hons) Psychology and PhD Psychology at the University of Manchester. Her PhD work focused on illness perceptions and help-seeking behaviour in people with subjective memory complaints. She then conducted post-doctoral work at the Institute of Psychiatry, King's College London before joining City, University of London as a Lecturer in Health Psychology in 2012. Her research interests are centred on neurological illness, focusing on neurological conditions such as Parkinson's disease and conditions which might create functional neurological illness as measured by cognition with particular interests in coping, quality of life and well-being. The beliefs both patients and carers hold about chronic illness and how these can influence a range of outcomes including mood, quality of life and help-seeking behaviour. Currently projects include exploring the nature of illness uncertainty in the carers of patients with Parkinson's disease. The strategies patients use to cope with neurodegenerative conditions and factors which influence coping style. Currently collaborating with colleagues at Bangor University to explore resilience in Parkinson's disease. The impact of cognitive impairment on a range of outcomes including coping behaviours and well-being. Currently collaborating with colleagues in Health Services Research on a study investigating cognitive impairment following chemotherapy in colorectal cancer. Identifying clinical and psychosocial variables which affect quality of life in both Parkinson's disease and dementia. Recently begun collaborating on a project with cardiologists at St George's, University of London researching quality of life after aortic valve replacement. - Jan 2014 - June 2016; PD-HELP- Development of an intervention to increase help-seeking for non-motor symptoms in people with Parkinson's. £116,589.32. PI: Dr Catherine Hurt, Co-investigators: Professor Richard Brown, Professor Rona Moss-Morris, Professor Ray Chaudhuri, Dr Mike Samuel. - September 2013 - July 2014; Identifying barriers to help-seeking for Non-motor symptoms in Parkinson's disease British Academy/Leverhulme £;4795. - October 2012 - March 2014; Exploring Uncertainty in Carers of Patients with Parkinson's Disease, £4865.85. Hurt, C.S., Rixon, L., Chaudhuri, K.R., Moss-Morris, R., Samuel, M. and Brown, R.G. (2016). Identification of barriers preventing disclosure of non-motor symptoms in Parkinson's patients to healthcare providers. Hurt, C. and Brown, R. (2013). Quality of life in neurodegenerative diseases: Are we asking the right questions? Hurt, C.S., Simpson, A., Brown, R.G. and PROMS-PD Study Group, (2012). Towards a holistic model of well-being in patients with Parkinson's disease. The Movement Disorder Society's 16th International Congress of Parkinson's Disease and Movement Disorders 17-21 June, Dublin, Ireland. Hurt, C.S. and Brown, R.G. (2012). Quality of life: What really matters to patients with Parkinson's disease? The Movement Disorder Society's 16th International Congress of Parkinson's Disease and Movement Disorders 17-21 June, Dublin, Ireland. Hurt, C.S., Simpson, A., Brown, R.G. and Grp, P.R.O.M.S.-.P.D.S. (2012). Towards a holistic model of well-being in patients with Parkinson's disease. Hurt, C.S., Al Kufri, F., Brown, R.G. and Samuel, M. (2011). Are motor and other clinical phenotypes associated with impulse control disorders in Parkinson’s disease? The Movement Disorder Society's 15th International Congress of Parkinson's Disease and Movement Disorders 5-9 June, Toronto, Canada. Hurt, C.S., Burn, D.J., Hindle, J.V., Landau, S., Samuel, M., Wilson, K. … Brown, R.G. (2010). Coping with Parkinson’s disease and its relationship to mood and cognition. The Movement Disorder Society's 14th International Congress of Parkinson's Disease and Movement Disorders 13-17 June, Buenos Aires. Hinnell, C., Hurt, C.S., Brown, R., Landau, S. and Samuel, M. (2010). Is motor phenotype important in predicting health status in Parkinson’s disease? The Movement Disorder Society's 14th International Congress of Parkinson's Disease and Movement Disorders 13-17 June, Buenos Aires. Samuel, M., Hurt, C., Hinnell, C., Landau, S. and Brown, R.G. (2010). Is mood phenotype important in predicting health status in Parkinson’s disease? The Movement Disorder Society's 14th International Congress of Parkinson's Disease and Movement Disorders 13-17 June, Buenos Aires. Burn, D.J., Landau, S., Hindle, J., Samuel, M., Wilson, K.C.M., Hurt, C.S. … Brown, R.G. (2010). The relationship between mood and motor phenotype in Parkinson’s disease (PD). The Movement Disorder Society's 14th International Congress of Parkinson's Disease and Movement Disorders 13-17 June, Buenos Aires. Samuel, M., Hurt, C., Hinnell, C., Landau, S., Brown, R.G. and Grp, P.D.P.R.O.M.S.S. (2010). Is mood phenotype important in predicting health status in Parkinson's disease? Brown, R.G., Burn, D.J., Hindle, J.V., Hurt, C.S., Landau, S., Samuel, M. … Wilson, K.E. (2010). Depression and Anxiety Phenotypes in Parkinson's Disease. Hinnell, C., Hurt, C., Brown, R., Landau, S. and Samuel, M. (2010). Is motor phenotype important in predicting health status in Parkinson's disease? Burn, D.J., Landau, S., Hindle, J.V., Samuel, M., Wilson, K.C., Hurt, C.S. … Brown, R.G. (2010). The relationship between mood and motor phenotype in Parkinson's disease (PD). Hinnell, C., Hurt, C., Samuel, M., Landau, S. and Brown, R. (2010). Predicting Health Status in Parkinson's Disease: What Matters Most? Hurt, C.S., Burn, D., Hindle, J., Landau, S., Samuel, M., Wilson, K. … Brown, R.G. (2010). Coping with Parkinson's disease and its relationship to mood and cognition. Hurt, C., Weinman, J. and Brown, R.G. (2009). Illness perceptions and depression in Parkinson’s disease. The XVIII WFN World Congress on Parkinson's Disease and Related Disorders 13-16 December, Miami, Florida, USA. Hurt, C., Thomas, B., Burn, D., Hindle, J., Landau, S., Samuel, M. … Brown, R.G. (2009). Coping in Parkinson’s disease: an examination of the coping inventory for stressful situations. The XVIII WFN World Congress on Parkinson's Disease and Related Disorders 13-16 December, Miami, Florida, USA. Brown, R.G., Hurt, C., Burn, D., Hindle, J., Landau, S., Samuel, M. … Wilson, K. (2009). A prospective study of mood states in Parkinson’s disease (PROMS-PD). The XVIII WFN World Congress on Parkinson's Disease and Related Disorders 13-16 December, Miami, Florida, USA. Whitehead, D., Simpson, A., Hurt, C., Burn, D., Hindle, J., Landau, S. … Brown, R.G. (2009). Cognitive profile and mild cognitive impairment (MCI) in Parkinson’s disease: baseline data from the PROMS-PD cohort. The XVIII WFN World Congress on Parkinson's Disease and Related Disorders 13-16 December, Miami, Florida, USA. Whitehead, D., Simpson, A., Hurt, C., Burn, D., Hindle, J., Landau, S. … Brown, R.G. (2009). Worry in Parkinson’s disease: baseline data from the PROMS-PD cohort. The XVIII WFN World Congress on Parkinson's Disease and Related Disorders 13-16 December, Miami, Florida, USA. Brown, R.G., Burn, D., Hindle, J., Hurt, C.S., Landau, S., Playfer, J. … Wilson, K. (2007). A prospective study of mood states in Parkinson’s disease: The PROMS-PD study. The Movement Disorder Society's 11th International Congress of Parkinson's Disease and Movement Disorders 3-7 June, Istanbul, Turkey. Hurt, C., Barrowclough, C. and Burns, A. (2007). Modification of illness perceptions: A new avenue for treatment of depression in MCI? 8th International Conference AD/PD Salzburg, Austria. Brown, R.G., Burn, D., Hindle, J., Hurt, C.S., Landau, S., Playfer, J. … Wilson, K. (2007). A prospective study of mood in Parkinson's disease: The PROMS-PD study. Hurt, C.S., Robert, P.H., Byrne, E.J., Verhey, F.R.J., Camus, V. and De Deyn, P.P. (2005). Non-pharmacological treatments for BPSD: What is really helping? International Psychogeriatric Association 12th Congress Stockholm, Sweden. Petrovic, M., Hurt, C.S. and Collins, D. (2005). Clustering of behavioural and psychological symptoms in dementia (BPSD) – within and beyond the 12 items of the Neuropsychiatric Inventory: a European Alzheimer’s disease consortium (EADC) study. International Psychogeriatric Association 12th Congress Stockholm, Sweden. Collins, D., Hurt, C.S., Byrne, E.J., Burns, A. and Robert, P. (2005). Quality of life and apathy in dementia. Byrne, E.J., Robert, P.H. and Hurt, C.S. (2003). Behavioural and Psychological Symptoms of Dementia (BPSD) in Europe: A Report of the EADC BPSD Thematic Group. International Psychogeriatric Association 11th Congress 17-22 August, Chicago, USA. Byrne, J., Robert, P.H. and Hurt, C. (2003). BPSD in Europe: An EADC study behavioral and psychological symptoms of dementia (BPSD) in Europe: A report of the EADC BPSD thematic group. Hurt, C.S., Rixon, L., Chaudhuri, K.R., Moss-Morris, R., Samuel, M. and Brown, R.G. (2019). Identifying barriers to help-seeking for non-motor symptoms in people with Parkinson’s disease. Journal of Health Psychology, 24(5), pp. 561–571. doi:10.1177/1359105316683239 . Hurt, C. (2016). Guided Poster Tour. Movement Disorders, 31. doi:10.1002/mds.26690 . Landau, S., Harris, V., Burn, D.J., Hindle, J.V., Hurt, C.S., Samuel, M. … Brown, R.G. (2016). Anxiety and anxious-depression in Parkinson's disease over a 4-year period: A latent transition analysis. Psychological Medicine, 46(3), pp. 657–667. doi:10.1017/S0033291715002196 . Hindle, J.V., Hurt, C.S., Burn, D.J., Brown, R.G., Samuel, M., Wilson, K.C. … Clare, L. (2016). The effects of cognitive reserve and lifestyle on cognition and dementia in Parkinson's disease - A longitudinal cohort study. International Journal of Geriatric Psychiatry, 31(1), pp. 13–23. doi:10.1002/gps.4284 . Landau, S., Harris, V., Burn, D.J., Hindle, J.V., Hurt, C.S., Samuel, M. … Brown, R.G. (2015). Anxiety and anxious-depression in Parkinson's disease over a 4-year period: a latent transition analysis. Psychological Medicine. doi:10.1017/S0033291715002196 . Hurt, C.S., Julien, C.L. and Brown, R.G. (2015). Measuring Illness beliefs in neurodegenerative disease: why we need to be specific. J Health Psychol, 20(1), pp. 69–79. doi:10.1177/1359105313498627 . Wright, A., Hurt, C.S., Gorniak, S. and Brown, R.G. (2015). An exploration of worry content and catastrophic thinking in middle-aged and older-aged adults with and without Parkinson's disease. International Journal of Geriatric Psychiatry, 30(4), pp. 376–383. doi:10.1002/gps.4146 . Hurt, C.S., Burn, D.J., Hindle, J., Samuel, M., Wilson, K. and Brown, R.G. (2014). Thinking positively about chronic illness: An exploration of optimism, illness perceptions and well-being in patients with Parkinson's disease. Br J Health Psychol, 19(2), pp. 363–379. doi:10.1111/bjhp.12043 . Hurt, C.S., Alkufri, F., Brown, R.G., Burn, D.J., Hindle, J.V., Landau, S. … PROMS-PD study group, (2014). Motor phenotypes, medication and mood: further associations with impulsive behaviours in Parkinson's disease. J Parkinsons Dis, 4(2), pp. 245–254. doi:10.3233/JPD-130314 . Gibson, G., Mottram, P.G., Burn, D.J., Hindle, J.V., Landau, S., Samuel, M. … M Wilson, K.C. (2013). Frequency, prevalence, incidence and risk factors associated with visual hallucinations in a sample of patients with Parkinson's disease: A longitudinal 4-year study. International Journal of Geriatric Psychiatry, 28(6), pp. 626–631. doi:10.1002/gps.3869 . Hurt, C.S., Weinman, J., Lee, R. and Brown, R.G. (2012). The relationship of depression and disease stage to patient perceptions of Parkinson's disease. J Health Psychol, 17(7), pp. 1076–1088. doi:10.1177/1359105311428537 . Hurt, C.S., Landau, S., Burn, D.J., Hindle, J.V., Samuel, M., Wilson, K. … PROMS-PD Study Group, (2012). Cognition, coping, and outcome in Parkinson's disease. Int Psychogeriatr, 24(10), pp. 1656–1663. doi:10.1017/S1041610212000749 . Hurt, C.S., Burns, A., Brown, R.G. and Barrowclough, C. (2012). Why don't older adults with subjective memory complaints seek help? Int J Geriatr Psychiatry, 27(4), pp. 394–400. doi:10.1002/gps.2731 . Burn, D.J., Landau, S., Hindle, J.V., Samuel, M., Wilson, K.C., Hurt, C.S. … Brown, R.G. (2012). Parkinson's disease motor subtypes and mood. Movement Disorders, 27(3), pp. 379–386. doi:10.1002/mds.24041 . Hinnell, C., Hurt, C.S., Landau, S., Brown, R.G., Samuel, M., Burn, D.J. … Hindle, J.V. (2012). Nonmotor versus motor symptoms: How much do they matter to health status in Parkinson's disease? Movement Disorders, 27(2), pp. 236–241. doi:10.1002/mds.23961 . Whitehead, D., Tunnard, C., Hurt, C., Wahlund, L.O., Mecocci, P., Tsolaki, M. … AddNeuroMed Consortium, (2012). Frontotemporal atrophy associated with paranoid delusions in women with Alzheimer's disease. Int Psychogeriatr, 24(1), pp. 99–107. doi:10.1017/S1041610211000974 . Gibson, G., Mottram, P.G., Burn, D.J., Hindle, J.V., Landau, S., Samuel, M. … Wilson, K.C.M. (2012). Frequency, prevalence, incidence and risk factors associated with visual hallucinations in a sample of patients with Parkinson's disease: A longitudinal 4-year study. International Journal of Geriatric Psychiatry. Hurt, C.S., Thomas, B.A., Burn, D.J., Hindle, J.V., Landau, S., Samuel, M. … Brown, R.G. (2011). Coping in Parkinson's disease: an examination of the coping inventory for stressful situations. Int J Geriatr Psychiatry, 26(10), pp. 1030–1037. doi:10.1002/gps.2634 . Hurt, C.S., Burns, A. and Barrowclough, C. (2011). Perceptions of memory problems are more important in predicting distress in older adults with subjective memory complaints than coping strategies. Int Psychogeriatr, 23(8), pp. 1334–1343. doi:10.1017/S104161021100038X . Tunnard, C., Whitehead, D., Hurt, C., Wahlund, L.O., Mecocci, P., Tsolaki, M. … AddNeuroMed Consortium, (2011). Apathy and cortical atrophy in Alzheimer's disease. Int J Geriatr Psychiatry, 26(7), pp. 741–748. doi:10.1002/gps.2603 . Brown, R.G., Landau, S., Hindle, J.V., Playfer, J., Samuel, M., Wilson, K.C. … PROMS-PD Study Group, (2011). Depression and anxiety related subtypes in Parkinson's disease. J Neurol Neurosurg Psychiatry, 82(7), pp. 803–809. doi:10.1136/jnnp.2010.213652 . Hurt, C.S., Burns, A. and Barrowclough, C. (2011). Perceptions of memory problems are more important in predicting distress in older adults with subjective memory complaints than coping strategies. International psychogeriatrics / IPA, 23(8), pp. 1334–1343. doi:10.1017/S104161021100038X . Hurt, C.S., Burns, A., Brown, R.G. and Barrowclough, C. (2010). Perceptions of subjective memory complaint in older adults: the Illness Perception Questionnaire-Memory (IPQ-M). Int Psychogeriatr, 22(5), pp. 750–760. doi:10.1017/S1041610209991542 . Hurt, C.S., Banerjee, S., Tunnard, C., Whitehead, D.L., Tsolaki, M., Mecocci, P. … AddNeuroMed Consortium, (2010). Insight, cognition and quality of life in Alzheimer's disease. J Neurol Neurosurg Psychiatry, 81(3), pp. 331–336. doi:10.1136/jnnp.2009.184598 . Hurt, C., Bhattacharyya, S., Burns, A., Camus, V., Liperoti, R., Marriott, A. … Byrne, E.J. (2008). Patient and caregiver perspectives of quality of life in dementia. An investigation of the relationship to behavioural and psychological symptoms in dementia. Dement Geriatr Cogn Disord, 26(2), pp. 138–146. doi:10.1159/000149584 . Petrovic, M., Hurt, C., Collins, D., Burns, A., Camus, V., Liperoti, R. … Byrne, E.J. (2007). Clustering of behavioural and psychological symptoms in dementia (BPSD): A european alzheimer's disease consortium (EADC) study. Acta Clinica Belgica, 62(6), pp. 426–432. Aalten, P., Verhey, F.R.J., Boziki, M., Brugnolo, A., Bullock, R., Byrne, E.J. … Robert, P.H. (2007). Consistency of neuropsychiatric syndromes across dementias: Results from the European Alzheimer Disease Consortium - Part II. Dementia and Geriatric Cognitive Disorders, 25(1), pp. 1–8. doi:10.1159/000111082 . Aalten, P., Verhey, F.R.J., Boziki, M., Bullock, R., Byrne, E.J., Camus, V. … Robert, P.H. (2007). Neuropsychiatric syndromes in dementia: Results from the European Alzheimer disease Consortium: Part I. Dementia and Geriatric Cognitive Disorders, 24(6), pp. 457–463. doi:10.1159/000110738 . Ramakers, I.H.G.B., Visser, P.J., Aalten, P., Boesten, J.H.M., Metsemakers, J.F.M., Jolles, J. … Verhey, F.R.J. (2007). Symptoms of Preclinical Dementia in General Practice up to Five Years before Dementia Diagnosis. Dementia and Geriatric Cognitive Disorders, 24(4), pp. 300–306. doi:10.1159/000107594 . Robert, P.H., Verhey, F.R.J., Byrne, E.J., Hurt, C., De Deyn, P.P., Nobili, F. … Vellas, B. (2005). Grouping for behavioral and psychological symptoms in dementia: Clinical and biological aspects. Consensus paper of the European Alzheimer disease consortium. European Psychiatry, 20(7), pp. 490–496. doi:10.1016/j.eurpsy.2004.09.031 . Morgan, S., Hurt, C. and Craig, G. Parental decision making and gastrostomy: Professional’s awareness of conflict and strategies for support. European Academy of Childhood Disability Conference 2014, 2015. - NIHR, External Grant Reviewing. - The Gerontologist, Peer Reviewer. ISRN Geriatrics, Editorial board member. UK Society for Behavioural Medicine. Cardiff, UK (2016). 20th International Congress of Parkinson's Disease and Movement Disorders. Berlin, Germany (2016). British Psychological Society Division of Health Psychology Annual Conference. (2014). Annual Division of Health Psychology Conference, British Psychological Society. Brighton, UK (2013). British Psychological Society Division of Health Psychology Annual Conference. (2013). 27th Annual Conference of the European Health Psychology Society. Boredeaux, France (2013). Description: Oral presentation: Quality of life in neurodegenerative diseases: Are we asking the right questions? European Health Psychology Society Conference. Bordeaux, France (2013). Description: Quality of life in neurodegenerative diseases: Are we asking the right questions? 8th International Congress on Mental Dysfunction and Other Non-motor Features in Parkinson's Disease and Other Related Disorders. Berlin, Germany (2012). Mental Dysfunction in Parkinson's Disease Conference. Berlin, Germany (2012).